This is a one day advanced all-grain brewing session during which a 10 gallon demonstration batch of beer will be brewed using a three tier brewery equipped with a magnetic drive pump for recirculation. This class assumes students have a basic understanding of mashing and would like to delve into the wonders of more advanced techniques and theory. Decoction and pump based mash recirculation will be demonstrated. 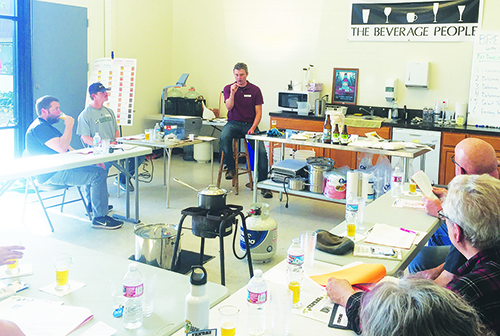 The class will cover the theory of step mashing and decoction, practical water chemistry by way of pH testing and alkalinity adjustment, advanced yeast theory and techniques, as well as kegging. Handouts are included. Beer will be tasted by students 21 years of age or older.